The text of the Clean Water Act trumped all of the government's arguments in the long-running fight over which courts have jurisdiction over the Obama administration's contentious water rule. In its 9-0 unanimous opinion today, the Supreme Court found that while it may not be the most efficient use of judicial resources, there was no question in the law about where challenges to the Clean Water Rule belong. "Congress has made clear that rules like the WOTUS Rule must be reviewed first in federal district courts," Justice Sonia Sotomayor wrote in the opinion. The decision is a loss for the federal government, which had argued in court under both the Obama and Trump administrations that the Clean Water Act should be interpreted functionally, rather than literally. It also complicates the Trump administration's efforts to repeal and replace the rule. 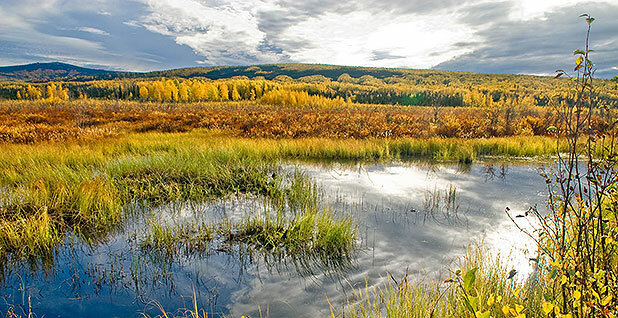 The Obama administration's Clean Water Rule aimed to clarify which wetlands and streams receive automatic protection under the Clean Water Act after years of confusion caused by the infamously muddled 2006 Supreme Court Rapanos decision. U.S. EPA and the Army Corps of Engineers jointly issued the rule, which is also known as Waters of the U.S., or WOTUS. Dozens of parties, including states, industry entities and environmental groups, challenged the rule in both federal district and appeals courts around the country, setting up a massive fight over which court gets jurisdiction. The choice of court — district or appeals — is significant because it affects the resources needed to litigate the merits of challenges, sets the statute of limitations for filing lawsuits and helps determine whether actions can be challenged in subsequent civil or criminal proceedings. District courts are also more tilted toward overturning government actions. The National Association of Manufacturers took the turf fight to the Supreme Court, seeking to overturn a February 2016 split decision by the 6th U.S. Circuit Court of Appeals finding that it has jurisdiction. Battle lines in the Supreme Court did not fall along the ideological lines that are typical in environmental law battles. With NAM, several states, industry entities and some environmental groups argued that review belongs in district courts. The Trump administration and other environmental groups fought to have the litigation remain in the 6th Circuit (Greenwire, Aug. 24, 2017). Before leaving office, the Obama administration had also pushed for appellate review of the rule. Justices heard an hour of oral arguments last November, where they grappled with the weight to give to the text of the Clean Water Act versus the practical effects of having litigation percolate up through several district courts and appeals courts (Greenwire, Oct. 11, 2017). At issue was the Clean Water Act section containing the law's judicial review provisions. The law stipulates that appeals courts have jurisdiction over challenges to "any effluent limitation or other limitation," as well as permit approvals or denials. Other legal disputes go to district courts. "The Act contemplates two primary avenues for judicial review of EPA actions, each with its own unique set of procedural provisions and statutes of limitations," as Sotomayor wrote. The justices ruled that WOTUS did not fall into any of the discrete categories laid out in the judicial review section of the law. The "functional approach" the government advocated for is "completely unmoored from the statutory text," the opinion says. "Rather than confront that statutory text, the Government asks us to ignore it altogether," Sotomayor wrote. In rejecting the Trump administration's arguments about improving the efficiency of judicial review, the justice noted that many of the Supreme Court's recent decisions regarding the scope of the Clean Water Act originated in district court. The policy arguments in favor of efficiency provide "no basis" to ignore the text of the law, the court said. "Routing WOTUS Rule challenges directly to the courts of appeals may improve judicial efficiency. But efficiency was not Congress' only consideration," Sotomayor wrote. "Had Congress wanted to prioritize efficiency, it could have authorized direct circuit-court review of all nationally applicable regulations, as it did under the Clean Air Act." The Supreme Court reversed the 6th Circuit decision on jurisdiction and remanded the case with instructions to dismiss the petitions for review that have been filed in that court. While the litigation has been ongoing in the Supreme Court, the Trump administration has taken several steps to repeal and replace WOTUS. Today's decision complicates things for the Trump administration because it throws into doubt the future of the 6th Circuit's decision to stay WOTUS nationwide while litigation is pending. The court issued the stay in October 2015. EPA and the Army Corps have proposed two regulations aimed at ensuring that WOTUS will not take effect if the nationwide stay issued by the 6th Circuit is lifted. Last spring, they proposed a repeal of the Clean Water Rule. In December, they also proposed adding a so-called applicability date to the regulation, meaning it could not be enforced until 2020. That second rule was proposed only after oral arguments in the Supreme Court when the administration became increasingly worried that the high court would rule in favor of industry and send the lawsuit to the district courts. Neither of those proposals has been finalized. In July, EPA said it expected to complete the repeal by April of this year. EPA did not immediately respond when asked for an updated timeline for the proposals. The Natural Resources Defense Council, which had argued in favor of appellate review, said the decision means the rule should go back into effect in most of the country. "While today's decision may extend the timeline for litigation over the rule, the good news is that it should put the Clean Water Rule back into effect widely, ensuring clear and strong protections for our nation's waters," said Jon Devine, a senior attorney with the group. 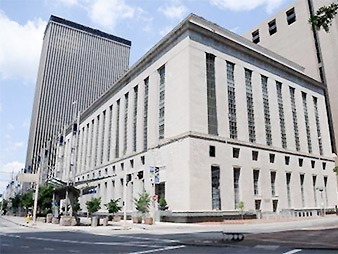 Jonathan Adler, a law professor at Case Western Reserve University, said he believes the 6th Circuit will likely ask all parties to the case to submit briefs on what to do about the nationwide stay. Though the court may ultimately decide it must void its own stay, "they won't do it today; the wheels don't turn that quickly," he said. But Stephen Samuels, a former Department of Justice attorney, said he thinks that the 6th Circuit will make a decision on the stay without any additional briefing: "I don't think there is any issue left to brief." "If the 6th Circuit doesn't have jurisdiction to rule on the case, it doesn't have jurisdiction to issue a stay," he said. Adding another layer of complication: In 2015, before the 6th Circuit issued its nationwide stay, a North Dakota district judge decided to halt implementation of the rule in 13 states, including North Dakota. So even if the 6th Circuit lifts its stay, the rule will likely remain stayed in those states. But the judge, Ralph Erickson, has since been confirmed to the 8th U.S. Circuit Court of Appeals. Another judge would be assigned to the case if the litigation goes forward in the North Dakota district court. Regardless of what happens to the 6th Circuit stay, Samuels and Adler agree that plaintiffs will likely ask a district court to issue a nationwide injunction. "District courts are not at all shy about issuing nationwide injunctions these days," Adler said. A nationwide injunction issued by a district court could potentially put the Trump Justice Department in an awkward position. While the Justice Department has historically taken the position that it is not proper for district courts to make nationwide injunctions, Samuels said, the Trump administration has been particularly vocal about that point when it comes to immigration. Samuels said he believes DOJ wouldn't appeal a nationwide injunction in this case but might be forced to write a brief opposing it if another party to the case — such as an environmental group — were to argue the point. "Even though EPA would have an interest in this case in there being a nationwide injunction, I can't imagine the Justice Department filing a brief saying a district court has that authority," Samuels said.